The Blue Effect. The day the Cold War turned Hot. Part 2. 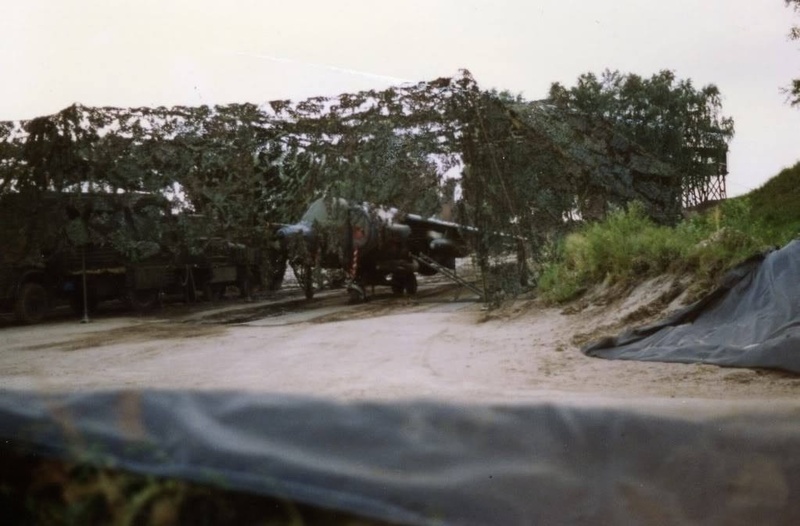 Should the Cold War have turned Hot, it was expected that NATO would lose a number of airfields to attacks by missiles, ground to air strikes and ground assaults from Spetsnaz forces. 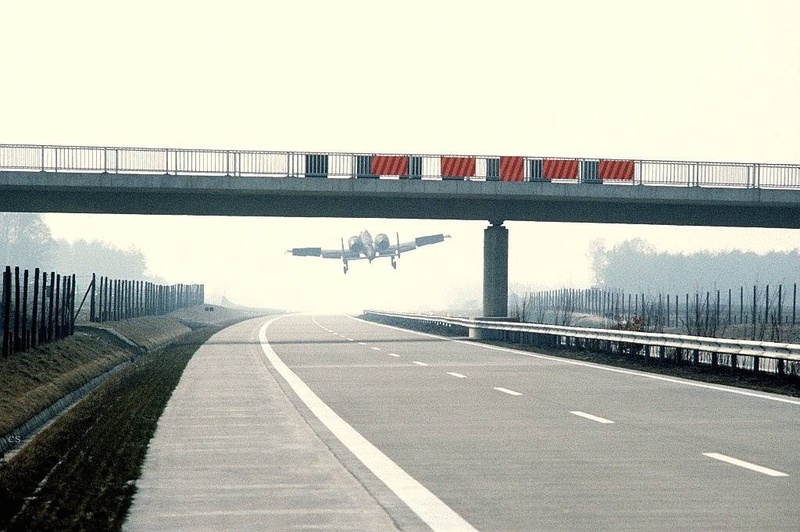 To counter this, a number of Autobahns, German Motorways, were flagged to be used as potential runways. 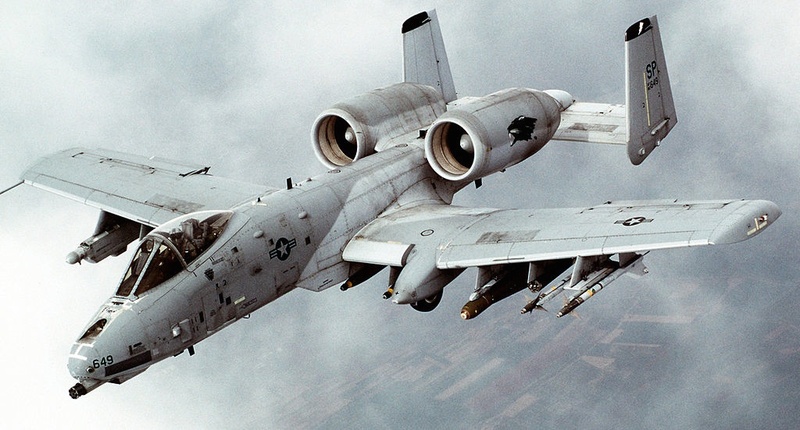 The A-10 Thunderbolt, affectionatly known as the ‘Warthog’. The Warthog was a fixed-wing, close air support, ground attack aircraft. Designed around the GAU-8 Avenger, 30mm rotary cannon, the airframe protected by titanium armour. The aircraft was designed to fly with one engine, one tail, one elevator and one half of a wing missing. it was a foe to be reckoned with. The A-10 was envisioned to fly from forward airbases and semi-prepared runways. 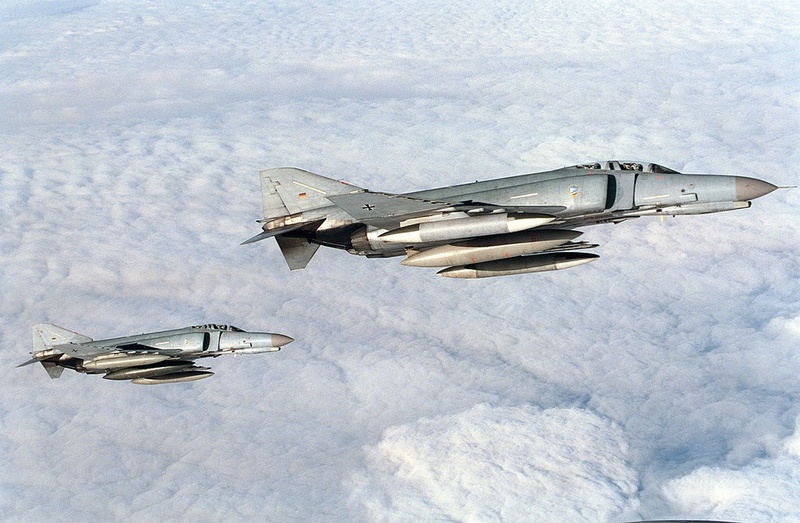 Phantoms (wood burners) would also play an active role in the defence of NATO during any attack by the Warsaw Pact. 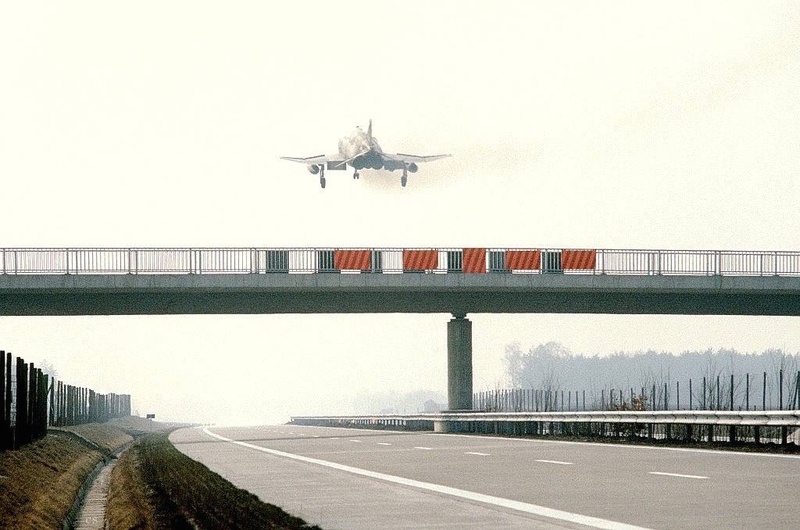 They too had been successfuly tested taking off and landing on German Motorways. 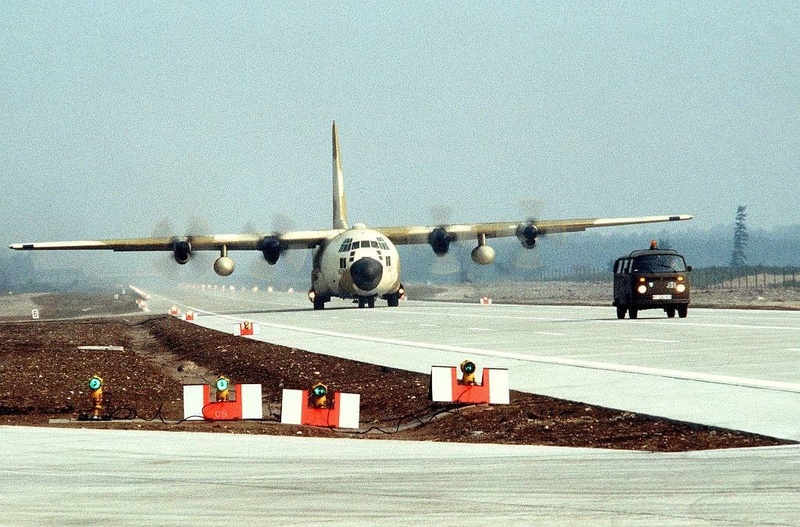 Even lumbering giants such as the Hercules transport aircraft could fly from selected sections of Motorway. One aircraft was even more versatile. 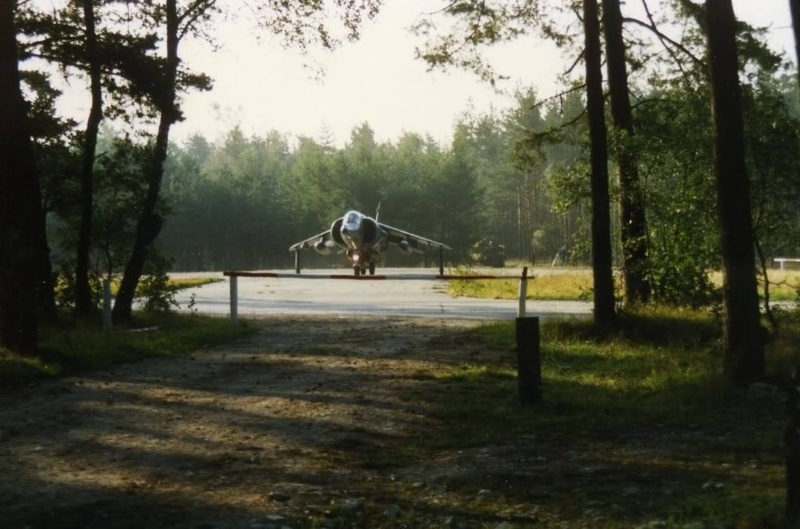 Our very own Harrier Jump-jet. 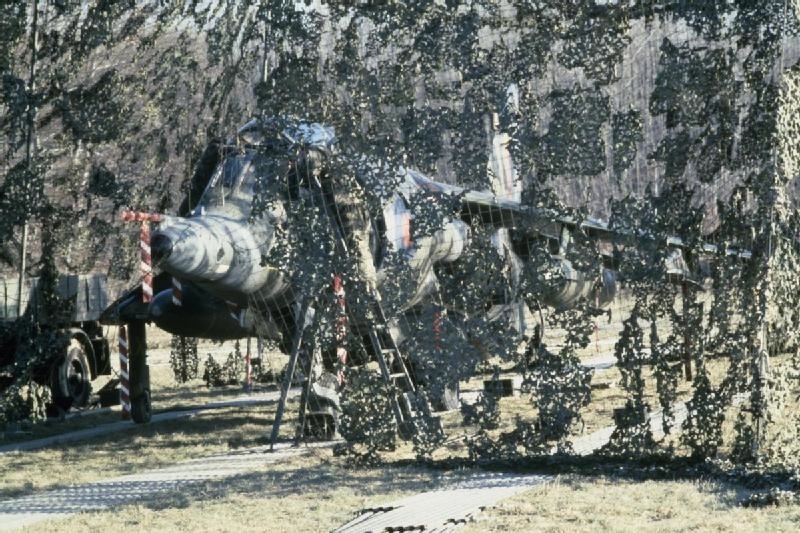 The Harrier could be maintained in the field. 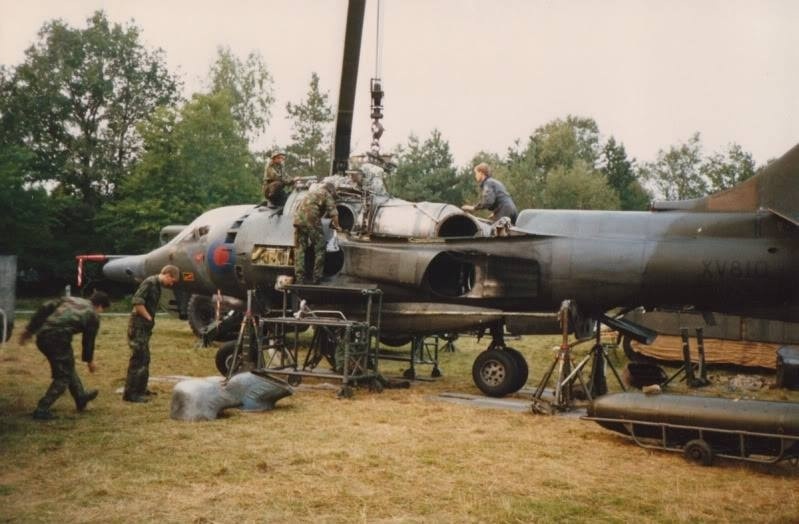 The Harrier’s VTOL (Vertical Take Off and Landing) capability allowed it to be deployed from very small prepared clearings or helipads. 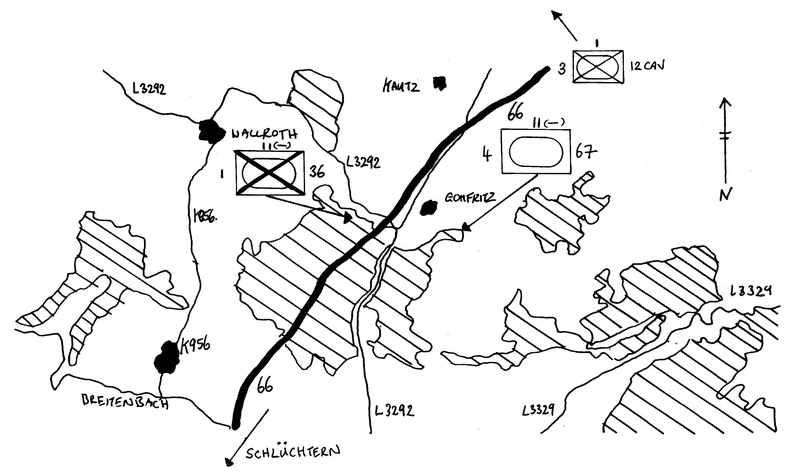 It was believed that, in a high-intensity conflict, air bases would be extremely vulnerable. 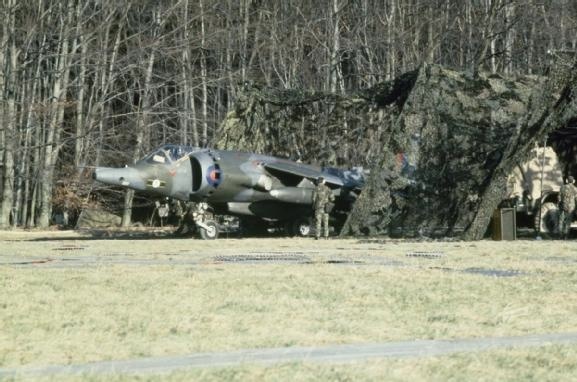 The capability to scatter Harrier squadrons out to small ‘alert pads’ would allow the sir force to continue close support operations. 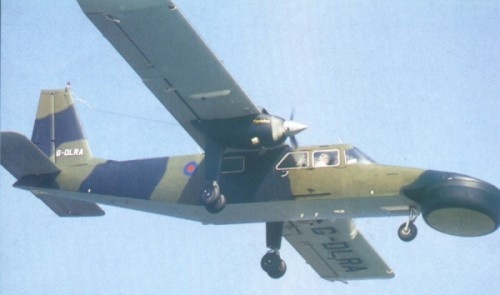 Nicknamed the ‘Flying Platypus’ due to its flattened, circular nose. 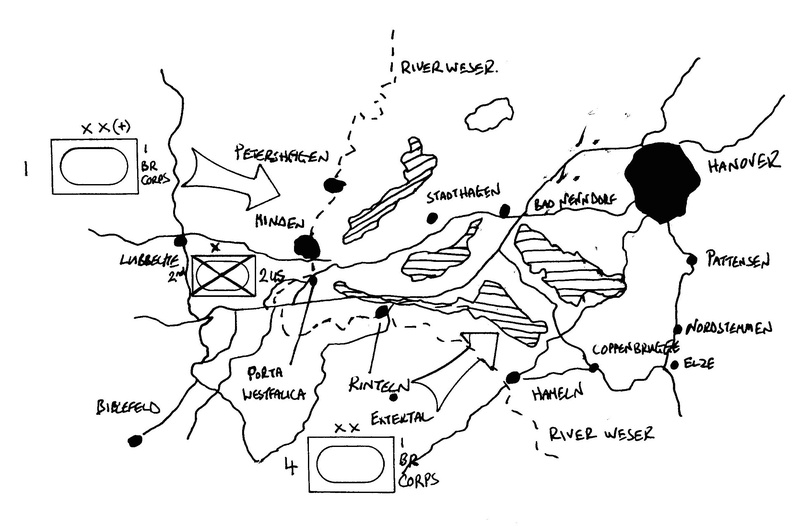 To finish off this post, I have attached the maps that are included in the novel, The Blue Effect. These can be printed and used as guides whilst reading. The maps can act as SPOILERS, so only refer to them in conjunction with the relevant sections of the book. The Soviet Union and the Warsaw Pact’s pre-emptive strike against the West, supported by the use of chemical weapons, has left NATO forces stunned. Although reinforcements continue to arrive in theatre from all the NATO member countries, the Allies are pushed back relentlessly. 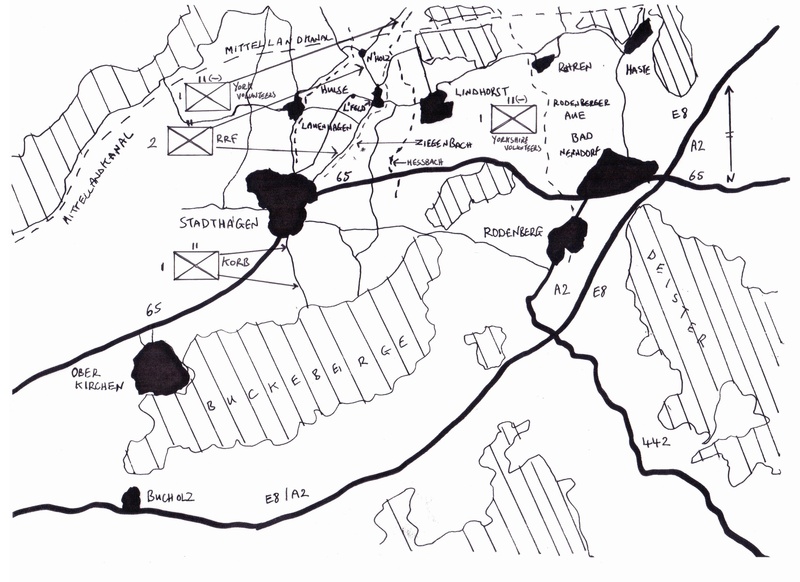 The Eastern Bloc armies throw fresh regiments into the fray, their intention to deliver the killing lunge deep into the West’s retreating armies. What are the options open to NATO? Can the West stem the disorderly retreat? Can they gather enough conventional forces to hold? Or will they need to resort to more deadly means? Follow the series of gripping events in ‘The Blue Effect’, the third instalment in Harvey Black’s Cold War trilogy. ‘The Black Effect’ – Available on Kindle. An economy on the verge of collapse, demands from their allies for funding to continue the expansion of communism, and a conventional Army, Navy and Air Force costing the country 20% of its GDP… The Soviet Union is in trouble. Where should they turn for a solution? Their answer: the capitalist West. 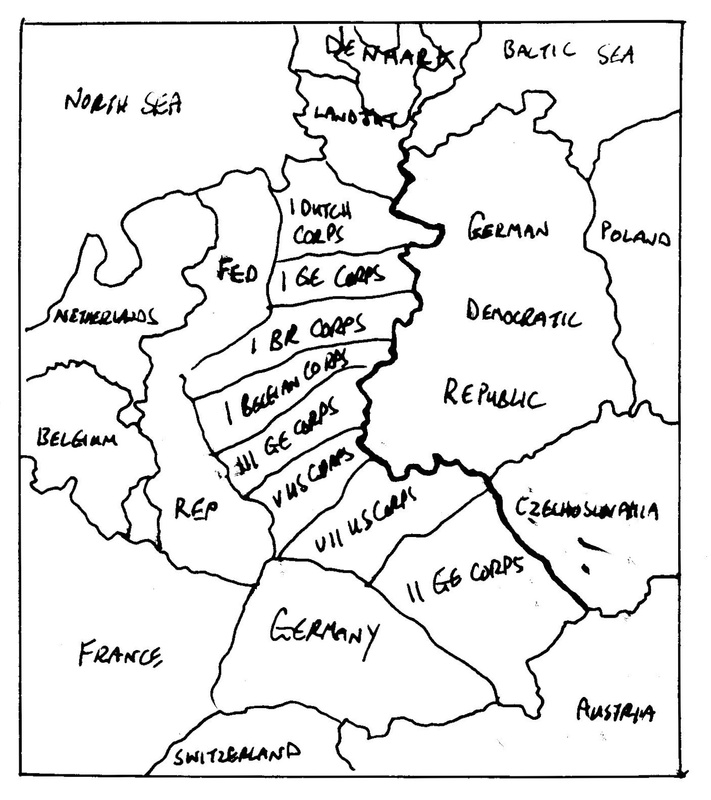 On the 4th July 1984, the Soviet Union and the Warsaw Pact launched a massive preemptive conventional strike against the West, sending the NATO forces reeling. 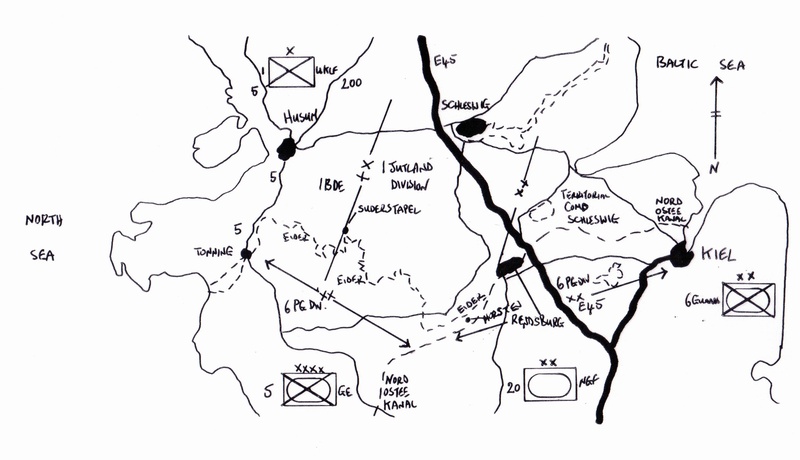 Follow Jacko and Bradley and their allies as they fight off the Soviet Union. Can the NATO forces recover and hold their ground? Will the Soviet Union succeed? Or will it end in an outright defeat? Follow the series of gripping events in The Black Effect, the second installment in Harvey Black’s Cold War trilogy. Site and content is copyrighted to Harvey Black. ← The Cold War Years. A Hot War in reality Part 4. Just finished reading the Blue effect. Wow! fantastic! Couldn’t put it down. Wish they could turn this series into a movie, even if was in CGI animation.